Nanotec has developed the DB59 brushless DC motor which covers a performance range from 84 to 220 Watts for applications that require high speeds. The device measures 56 mm in diameter (NEMA 23). The motor is available in a variety of lengths, both with and without Hall sensors. As an option, it is also possible to connect a magnetic encoder with a resolution of 0.09° for even more precise speed and position regulation. 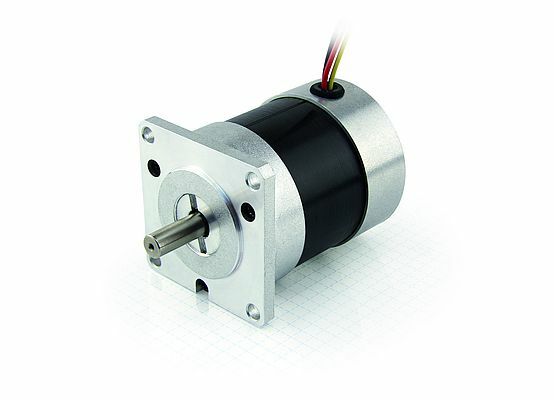 The motors are available with a square, NEMA-compatible or round flange. The round flange allows high-torque planetary gears from Nanotec's GPLL-59 series to be fitted, further increasing the motor's torque. The motor's nominal voltage is 24 V and their speed 3,500 rpm. The DB59 is particularly suitable for use in service robotic systems, warehouse logistics and medical pumps.